Does the above diagram meet your requirements? If yes, then click here to complete your wind rose project for free using just Microsoft Excel. We estimate that it will take an experienced excel user between 2 and 3 hours to create a wind rose diagram as shown above. The tricky bit involves manipulating raw wind data to enable the ‘Filled Radar Plot’ to accurately mimic a wind rose diagram. 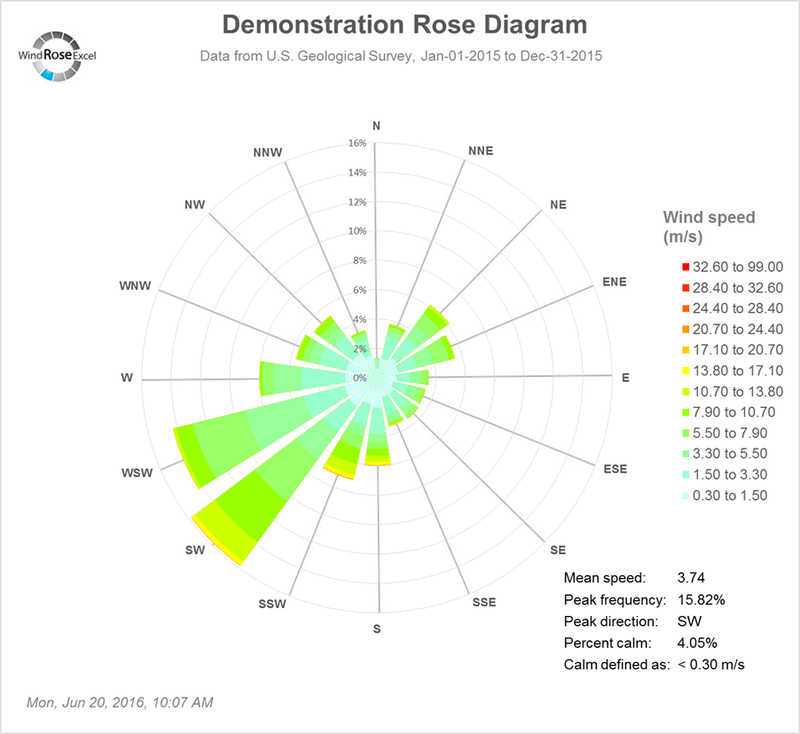 Do you want a cost-effective tool that quickly produces professional Wind Rose Diagrams? 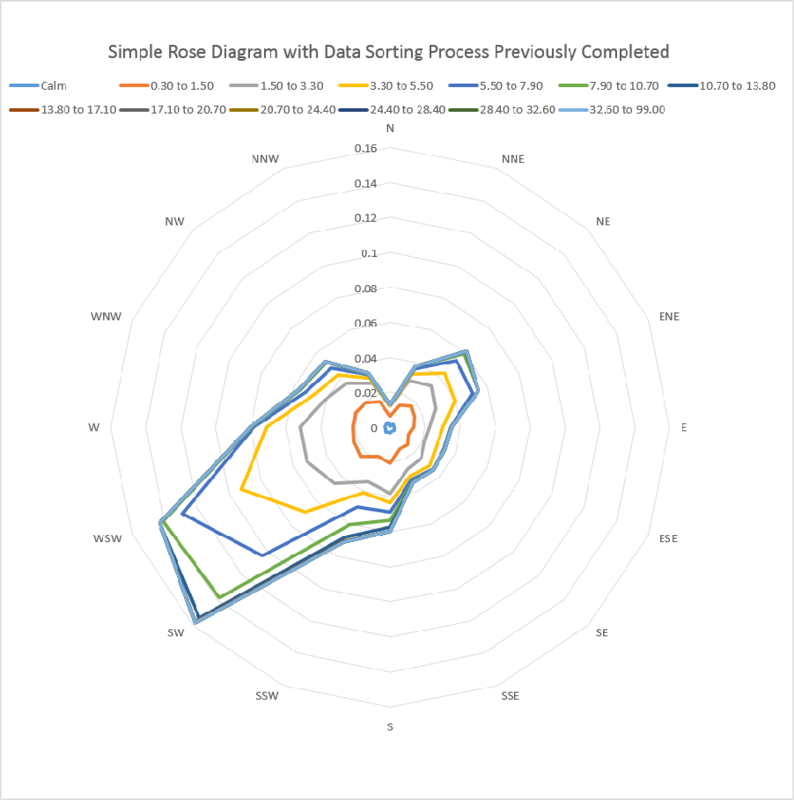 If so, Wind Rose Excel [v.1.7] – a tool that we have been continuously refining for 4 years – will be perfect for you. We use inbuilt VBA coding to sort raw wind speed data into a dynamic frequency table. Next, further VBA is used to form the spokes with form the wind rose diagrams. Users have full control over: number and size of wind speed bins; wind speed units; wind direction units; colour schemes; types of keys etc. 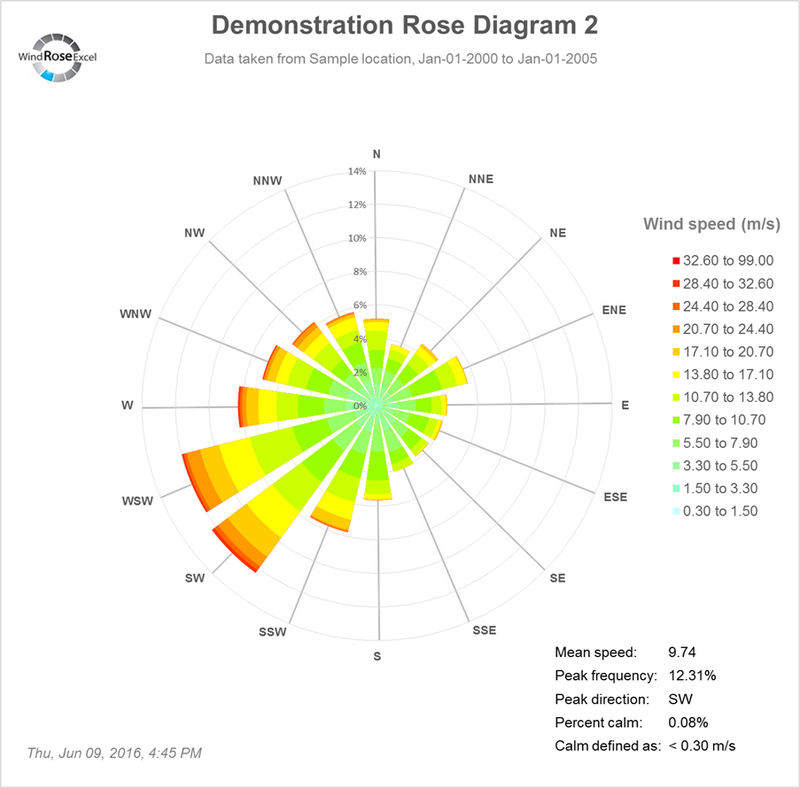 We estimate that the standard user will create their first, fully customised wind rose diagram in under 2 minutes. What is a Wind Rose Diagram? 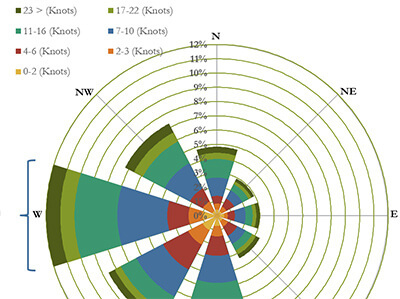 A Wind Rose Diagram graphically displays wind speed and wind direction at a particular location over a period of time. The cardinal wind directions (North, East, South, and West) and their intermediate directions. How frequently the wind blows in each of those direction. How frequently the wind blows at each pre-defined wind speed bin – shown by the colour bands.